Free! Hank will be there with his full band. It's solid! Instantly classes up any room. Click here to check it out. Ask to receive regular updates, or just send a note. 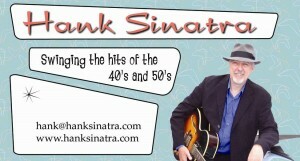 Hank Sinatra was back as the featured act at the recent Toledo Art Walk. Hank and his band was such a big hit last year, they were asked to appear again. 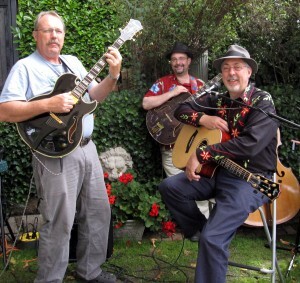 This year, Hank enlisted some musical heavy hitters; Jim Greeninger and Ron Green. Jim is on hiatus from his regular gig in Branson Missouri, where he’s a featured performer. Skilled in all guitar styles (jazz, classical, and pop), it was easy for Jim to add a special dimension to Hank’s songs. There were a few times when Hank was so caught up in listening to the beautiful lead lines, he forgot to start singing again! 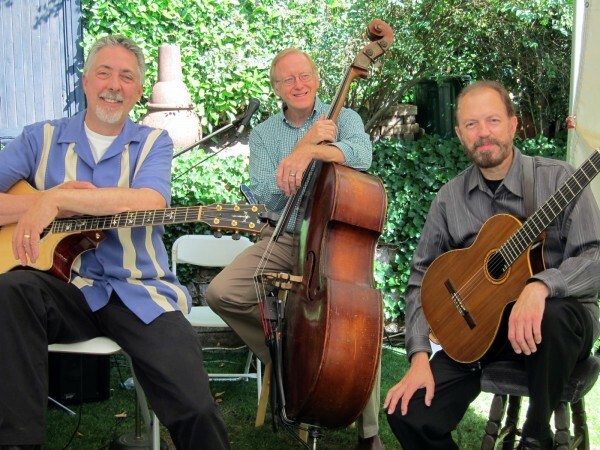 Ron hails from San Antonio, and is able to combine jazz and Western Swing, which of course makes him perfect for working with Hank’s music. With the help of artists like Michael Gibbons, the Oregon town of Toledo is making the transition from a sleepy mill town to a cool arts community, providing a roadmap for other places looking to reinvent themselves in this challenging economy. Like last year, it was a great outdoor venue and we had beautiful weather for all three days. I’ll be putting up some clips so you can hear what the crowds enjoyed, and maybe we’ll even have some video. Sign up for our email updates, and I’ll let you know when the clips are ready. Winter is a great time to “hunker down” and get some work done. So Hank is using these dark days to hone some new material, work with different musicians, and go into the recording studio to lay down some tracks for a new CD. And here’s your chance to provide some feedback. More country oriented tunes? 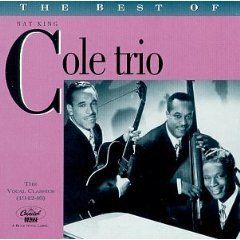 More cool sophisticated jazz? More timeless songs from the 40’s and 50’s? Right now, we’re working on a quartet, with jazz violin, lead guitar and pedal steel, and bass. I’ll preview some cuts from the sessions, so check back here soon. Hank Sinatra and friends were the featured act at the recent Toledo Art Walk. For all three days of the Labor Day weekend, we entertained the crowds in this jewel of an art community on the Oregon Coast. Thanks to the energy and vision of artist Michael Gibbons, this was the 17th annual event in Toledo which is making the transition from a traditional Oregon mill town. 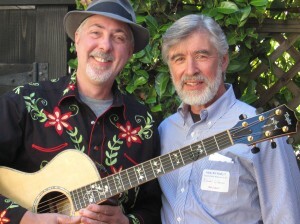 Michael asked us to perform after hearing us at a recent benefit performance at Salishan. “I am staying all afternoon to listen to this great music”. “Let’s dance and really have fun with these tunes. “Makes me remember my growing-up years”. “The music alone is enough to come to this event for”. 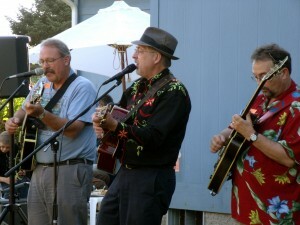 Hank was aided in this three-day marathon by bandmates Robin Crum and Steve Prager. Robin classed up the show with his sophisticated bossas and Steve provided tasty lead riffs and solid rhythm. And Hank even picked up the acoustic bass to provide some bottom-end for Robin’s songs. And then we finished on late Labor Day afternoon, we packed up and headed straight over to rock a house party gig at Paula’s place. What a weekend! You asked for it, and here it is! This is the card I’ll be handing out at my upcoming gigs and travels. It’s ultra-modern, with boomerangs, space-age fonts and subtle use of 1957 Fender Stratocaster Fiesta Red. This is a limited edition card, so you’ll want to get yours soon and trade them with your friends, family and business associates. Collect the whole set! Update – apparently, these cards with a genuine Hank Sinatra signature are selling on eBay for twice the price of a card without a signature. Wow. I was setting up for one of my regular Saturday gigs on the Bay House in Lincoln City. The sun was going down, so a grabbed my camera for a quick snapshot. In the picture, you can see the silhouettes of homes on the Salishan spit, and there’s someone digging clams since the tide has gone out in Siletz Bay. What a wonderful place to play music and meet old friends, and make new ones. It’s funny where the road of musical exploration leads. Like me, you’ve probably heard Dizzy Gillispie’s “Hot Syrup” and Thelonious Monk’s far-out “Waffle Pants.” Who knew that these avant-garde free-form compositions were inspired by the catchy song stylings of two Norwegian jazz legen ds? They were a unlikely pair. Bookish seagoing accountant Oscar Swensen teamed up with the flamboyant accordian salesman Gunnar Jensen in the late 1920’s and performed under the names “The Snappy Boys” and “The Rhythm Whiz-Bangs.” For a short time, they billed themselves as the “Oslo Hula Rangers,” in a creative but ultimately misguided effort to capitalize on the twin trends of Western and Hawaiian music which were sweeping through Scandinavia in the early 1930’s. The influence of this number, with its catchy syncopation and enigmatic lyrics, spread far beyond the borders of Norway, as far as Northern Denmark and parts of rural Finland. American jazz legends like Monk and Gillespie were exposed to the tune (and some might say, infected) when they toured Norway in the 1950’s. During the German occupation, “Waffle” became an anthem of underground resistance when the lyrics were changed to “When I Kick a Nazi, I Get Dirty On My Shoes.” After the war ended, post-war Norway was ready to look to the future; a future which sadly did not seem to include Swensen and Jensen. Lack of bookings and long-festering issues contributed to the duo’s breakup in the mid-1950’s. Swensen harbored resentment over changing his name from Swenson to Swensen, in order to rhyme with Jensen. Jensen had always campaigned for the lyrics of their hit song to reflect his personal preference of jam and butter on waffles, rather than ‘bourgeois’ syrup. They drifted apart. Swensen would later find reknown as one of the nation’s most prominent beekeepers. Jensen continued to seek the limelight, and would find it as the beloved Norwegian clown, “Tante Otto.” A short-lived reunion tour in 1963 ended in bitterness and acrimony. Oscar Swensen can still be found on the bandstand, occasionally sitting in for a guest appearance with “The Hot Club of Sarpsborg.” Gunnar Jensen has retired to his workshop, seeking to perfect his design for a new type of board game played with seven-sided dice. There are some real life-lessons here. I’m just not sure what they are. Sometimes a new song is as easy as sitting down with the guitar and the lyrics. Other times, I’ve got to search for the right chords and voicings. And then there’s getting the vocal nuances just right. I’ve been working on a couple of cool tunes lately. The first one is ‘Deed I Do, an old jazz tune from the 1920’s. 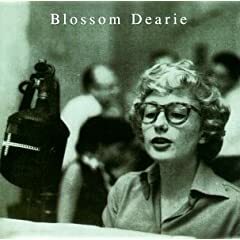 I really like the way Blossom Dearie recorded it in the mid-50’s, light and swinging. The other song is My Baby Just Cares For Me, a Broadway show tune also from the Roaring 20’s. Nat did a nice version in 1949, but I’m digging the classic Nina Simone version from 1958. Very cool. I ‘m having fun playing with these new tunes and getting to feel comfortable with my own versions. You’ll probably hear one or both the next time you catch my show. If you’ve got a favorite tune that you’d like to hear get the Hank treatment, leave a comment and email me. 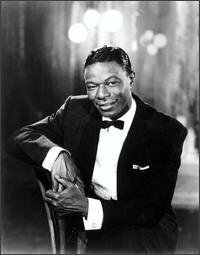 If Hank has a favorite singer right now, it’s got to be Nat ‘King’ Cole. His voice, which is always cool, easy and hip, never sounds pushed. I’m especially enjoying his work in the 1940’s, with Nat playing the piano, with an acoustic bass and a jazz guitar. 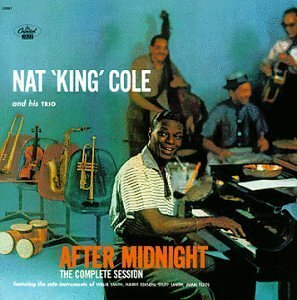 I was unfamiliar with Nat’s early career, but to get a couple of tunes, I had to buy an entire five-disc box set of the Nat King Cole Trio, and soon discovered a new appreciation for one tune after another. The NKC Trio also showed Nat to be a monster pianist, whose skills are often overlooked. As musician, the best thing is to be able to take apart some of my favorites, work them up, and add them to my repertoire. Sometimes this can be a real challenge since some of the songs are pretty obscure and there doesn’t seem to be any charts to them anywhere (like “I Thought You Ought To Know”). Fortunately, I have my good friend Steve Prager to help. Steve can listen to any song once through, and call all the changes; diminished, augmented, minor 7th flat 5 – no problem. Amazing! Being a late-comer to the jazz scene, I didn’t realize that a lot of these tunes were jazz classics that have done by everyone from Bessie Smith to Miles Davis to Chet Baker. Thanks to YouTube, it’s interesting to hear their interpretations, but I keep coming back the bounce of Nat’s trio. I guess I gotta have that cool swing. 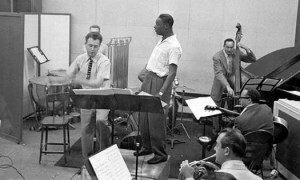 In the mid-50’s, Nat recorded the “After Midnight” album, partly to counter accusations of jazz aficianados that he sold out to sing popular songs, and lost his jazz chops. So in this album, Nat goes back to roots, recording with a couple of sidemen, and some guest musicians. I’ve heard a couple of the tracks and they sound very solid, so I’m looking forward to getting the album to hear the rest. These days, probably every fourth or fifth song I do is one that Nat did. I hope you’ll stop by and catch a few. 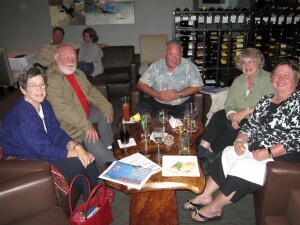 I was at the Bay House restaurant last Saturday, October 10th. The sun was setting as I started my first set. 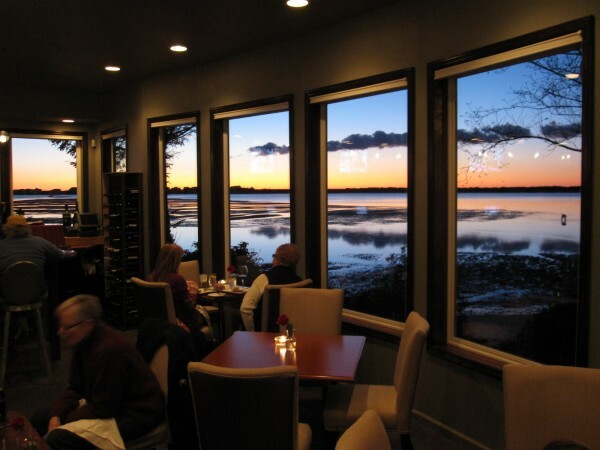 The Bayside Lounge overlooks Siletz Bay, and I could see a Great Blue Heron flying by as I launched into the first song, Funny How Time Slips Away. 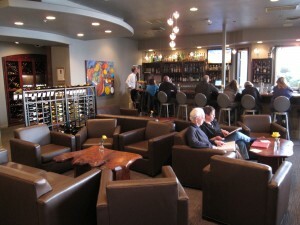 As several in the audience commented, The Bay House is a perfect venue for Hank’s music. It’s intimate yet roomy, and allows the music to fully reach all corners of the space. It was great to see old friends who came by to catch the show, and make some new friends as well. There was a great write-up about Hank in the weekly Oregon Coast Today and several people came because of that. For this performance, I added Walking After Midnight and Nite Life to the set list. I had been playing ‘Walking’ for a long time but but put aside recently to retool some of the chords to get a jazzier sound. And I’d been playing around with Nite Life for a couple of years before getting serious and finding the chord structure I wanted. I’m already looking forward to being back at the Bay House on November 7th, and on December 5th and 19th. I also thought Willie Nelson could have been even more popular as jazz or pop musician, than as a county icon. His vocal phrasing and delivery are just amazing, and his chord structures (playing and composing) are totally sophisticated. I’m a big fan of his earlier work, from the 1960’s when he was trying to break into the Nashville scene (and before he gave up trying and headed for Austin.) These are a couple of my favorite albums of his songs from that period. This is one of my favorite albums, with vintage tracks of “Nite Life,” “Hello Walls,” “Funny How Time Slips Away,” and “Crazy.” Willie’s performing and songwriting genius shine through on these tunes and others, representing, in my mind, his best work. Willie’s newest album was released in August, 2009, titled “American Classic.” In this album, Willie revisits the classic American songbook, with songs like “Fly Me to the Moon,” “Ain’t Misbehaving,” “The Nearness of You,” and “On the Street Where You Live.” Many were hoping for a repeat performance with the impact of his “Stardust” album, which is his best-selling album to date. However, I was disappointed in “American Classic”, and I’ll get into more details in another post.